On June 21, 2012 the Governor of Hawaii announced that Larry Ellison, the 5th wealthiest man in the world, had purchased 98% of the island of Lana’i. This purchase included the island’s two Four Seasons resorts. Mr. Ellison did so with the lofty goal of turning the Four Seasons Manele Bay and the Four Seasons Lodge at Koele into two of the most luxurious resorts in the world. He instructed the designers to “spare no expense”. Recently our own David Ourisman visited the Four Seasons Manele Bay for a site inspection and needless to say he came back very impressed. He stayed in one of the newly renovated Oceanfront rooms. Ranging from 663 to 734 square feet that includes a furnished lanai featuring a glass front to ensure your view is not obstructed. 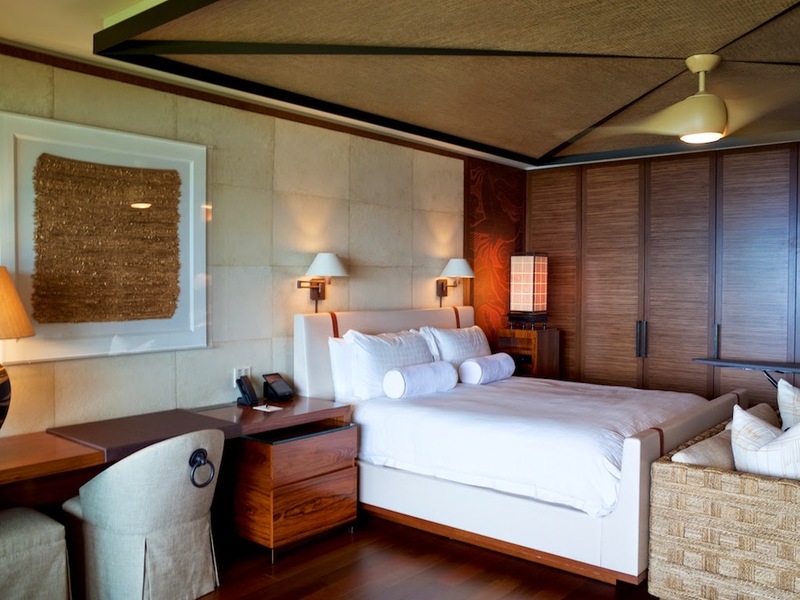 Everything featured in the room was made exclusively for the Manele Bay right down to the 75” flat screen Samsung. Rectangles of handmade Nepalese paper adorn the walls and the teak furniture is perfectly crafted to provide function and decoration. Not only has the décor at the Manele Bay been amped up but the food has also been kicked up a notch. The breakfast buffet features a spread of lox and bagels, healthy juices, cooked to order eggs, a Japanese buffet and a variety of pastries. For Preferred Partner members, this $45 amenity comes free for two. And the food doesn’t stop at breakfast. One Forty boasts exquisite steaks and seafood, emphasizing local ingredients. 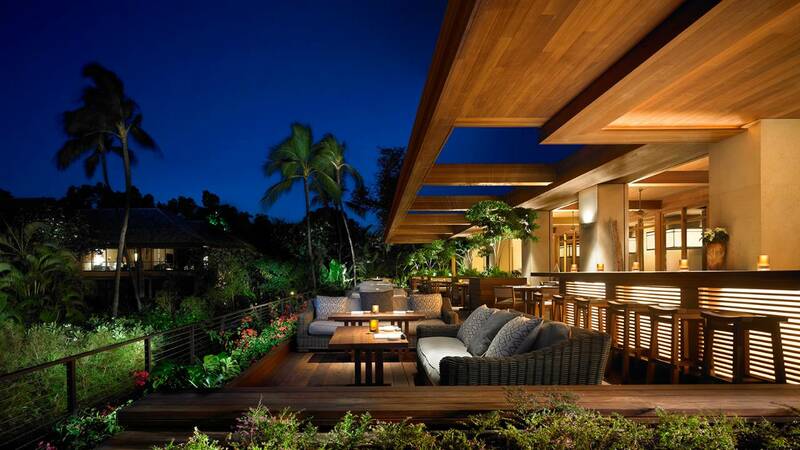 Nobu Lanai features views that are as delicious as it’s cuisine and ocean breezes as fresh as the sashimi on the menu, which was masterfully created by world renowned chef Nobu Matsushia. Kailani offers superb Italian fare featuring organic ingredients provided by the island’s own farmers and fishermen. After dinner, shoot a game of pool at The Sports Bar or sip on a signature cocktail at the Kailani Bar. The west wing of the resort is complete and the renovations will continue in the east wing in June. The main pool will be converted into three freeform pools that will resemble tidal pools. A Kids pool and an Adults Only Serenity Pool will be constructed as well. Unfortunately the resort will shut down to accommodate the 24/7 renovations but when it is completed (projected for December 2015) it will be worth the wait. With all of the publicity the hotel is earning, we expect rates to rise and availability to be tight! If you’re thinking about a visit to the new Four Seasons Manele Bay it will be best to plan ahead. It isn’t too early to start thinking about Spring Break 2016. To book your stay through Ourisman Travel, submit your information via our online travel request form. This entry was posted in Hawaii, Hotel Reviews and tagged family destination, Four Seasons, Hawaii, hotel review. Bookmark the permalink.